From North: Take RT 93 South to the Toll Booth in Hooksett($0.75 toll) After the toll the highway splits. Stay left and take Route 293 into Manchester. Follow 293 South into Bedford. You will see Macy's on your right. Take this exit on to Route 101 West. Follow Route 101 West until you reach a set of lights Go straight through intersection, This is RT 114. Take a left at the first set of lights onto New Boston Road. Travel about 2 miles up New Boston Road to a set of lights at Wallace Road. Go through this set of lights and the field is immediately on the LEFT inside of Legacy Park. From South using Rt 93: Take Route 93 North towards Manchester. As you come into Manchester, the highway splits. At the split stay left and take Route 101 West toward Bedford. Follow Route 101 West until you reach a set of lights. Go straight through intersection on to Route 114. Take a left at the first set of lights onto New Boston Road. Travel about 2 miles up New Boston Road to a set of lights at Wallace Road. Go through this set of lights and the field is immediately on the LEFT inside of Legacy Park. From South using Rt 3 or Everett Turnpike: Take Route 3 into NH. Route 3 becomes the Everett Turnpike in Nashua. Stay on Everett Turnpike until the toll plaza ($0.75 toll) in Bedford, NH. 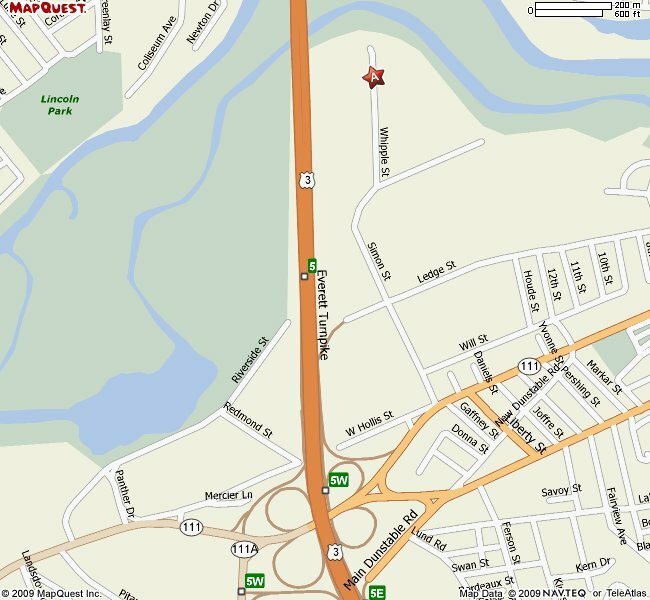 Take the second exit after the Toll booth on to Route 101 West. Follow Route 101 West until you reach a set of lights. Go straight through intersection on to Route 114. Take a left at the first set of lights onto New Boston Road. Travel about 2 miles up New Boston Road to a set of lights at Wallace Road. Go through this set of lights and the field is immediately on the LEFT inside of Legacy Park. Take Route 93 North towards Manchester, NH. As you come into Manchester, the highway splits. At the split stay to the left and get on to Route 101 West toward Bedford. Follow Route 101 West until you reach a set of lights. Take a Left at the lights, this will keep you on Rt 101 West. 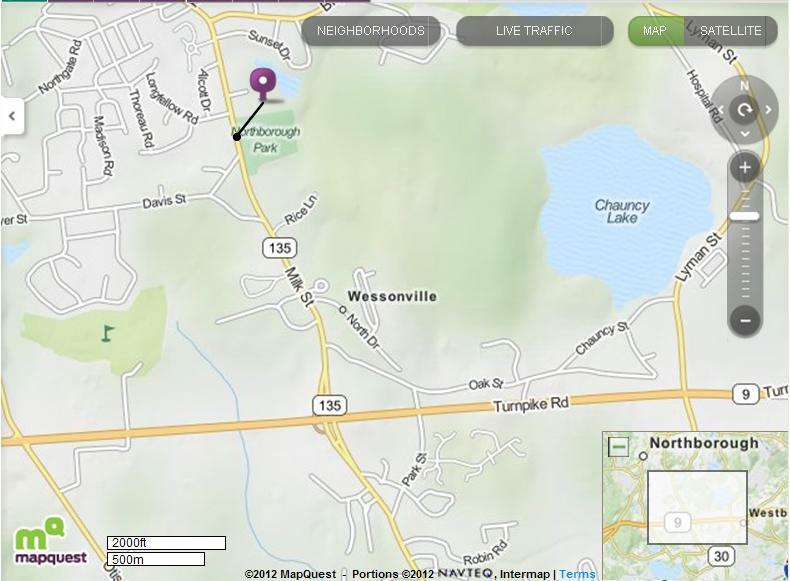 After turning left, go to the third set of traffic lights and turn LEFT on to Nashua Road. The field is on the LEFT about 3 tenths of a mile across from Bedford High School. Take Route 3 North into NH. Route 3 becomes the Everett Turnpike in Nashua, NH. Stay on Everett Turnpike until the toll plaza ($1.00 toll) in Bedford, NH. Take the 2nd exit (no exit number) after going through the Toll booth to get onto Route 101 WEST towards Bedford/Goffstown Follow Route 101 West until you reach a set of lights. Take a Left at the lights, this will keep you on Rt 101 West. 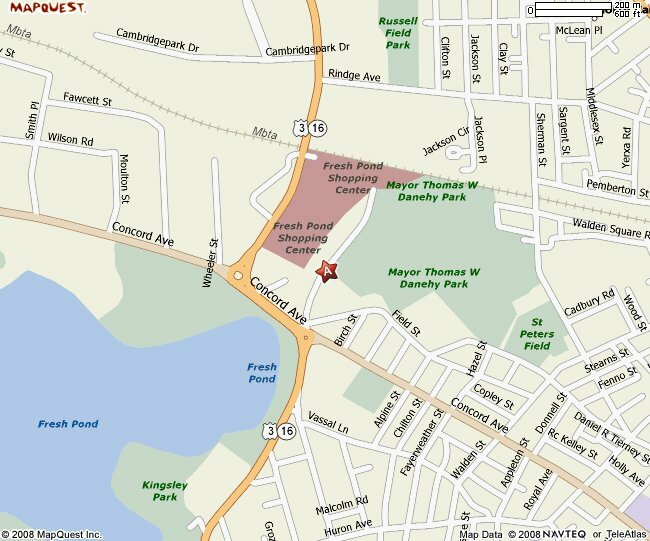 After turning left, go to the third set of traffic lights and turn LEFT on to Nashua Road. The field is on the LEFT about 3 tenths of a mile across from Bedford High School. Take Route 93 South to Route 495 North. Take Exit 53 (Broad St.), Left at end of ramp. Take a Left onto Rt. 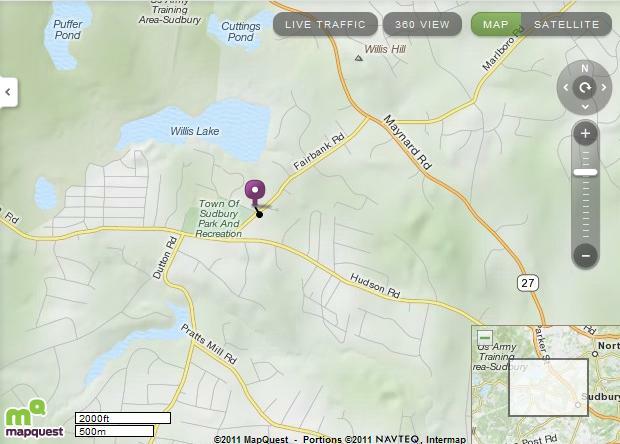 110, Right onto Woodland St. Go through 4 way intersection, bear right onto Winter St. Take a Left onto Town Forest Road. Follow to the end. (ETA = 50 min) Grass field. Take Route 93 South to Exit 36 for Montvale Avenue. Take a left onto Montvale Avenue and follow to the end. 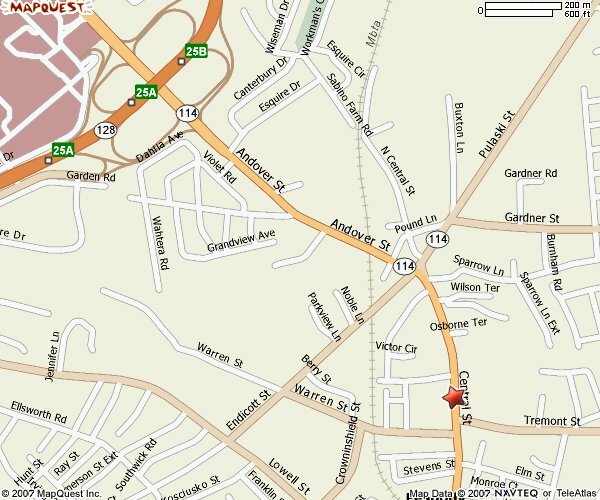 Take a left at the traffic light onto Main Street/Route 28 North. Go through 3 Traffic lights on Main Street. You will see a mini-golf on the right, be prepared to take a right directly across from the Ground Round. Take a right onto Braodway. Proceed up the hill to the stop sign. Go through 2 stop signs, passing the cemetery. 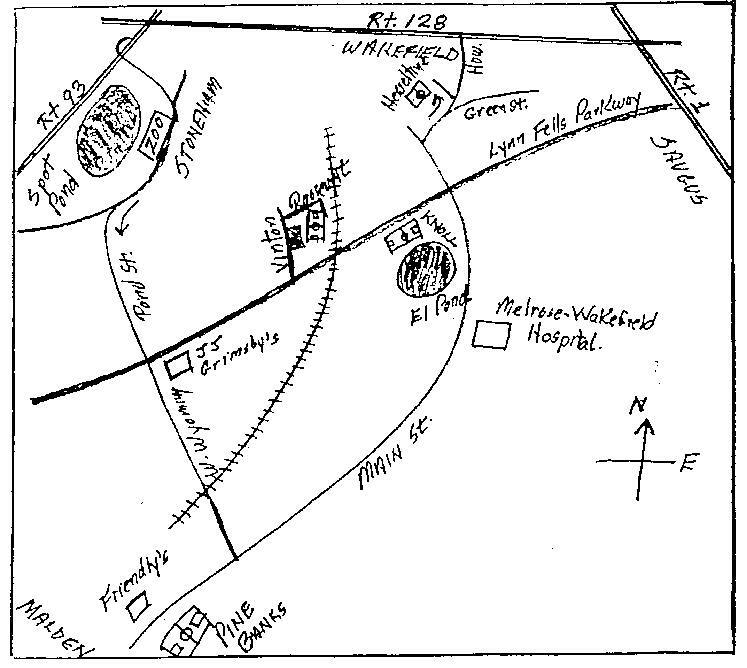 Broadway field is immediately after the cemetery on your right. Take Route 93 South to Exit 32 for Route 60 towards Medford/Malden. Follow Route 60 for about 3/10 mile and Route 60. Get onto Route 16 WEST/Mystic Valley Parkway. 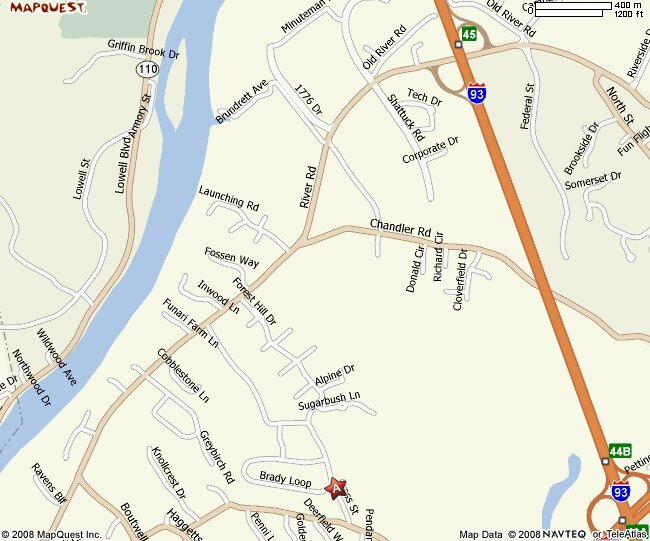 Continue on Route 16 for 1.2 miles to a rotary and stay on Route 16/Aliwife Parkway to the LEFT. 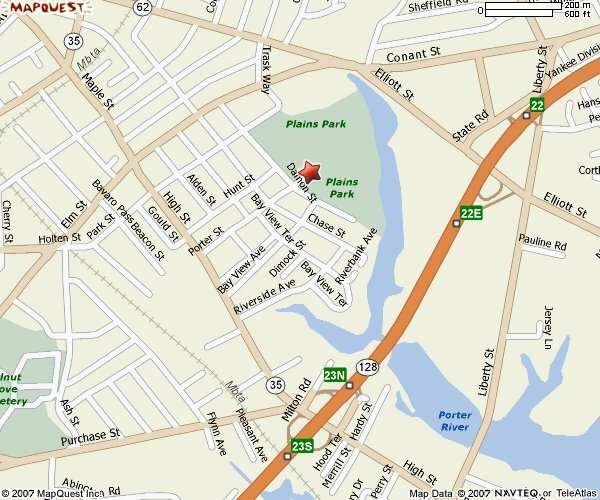 Follow Aliwife Parkway/Route 16 for 2.1 miles to the end and take a left onto Concord Ave/Route 16. Travel 0.2 miles to a rotary and take the 3rd exit onto New Street. Park is 1/4 mile up on the RIGHT. Estimated Travel Time = 1 hour. Take Route 3 into Mass. Get off at exit #28 for Treble Cove Road in Billerica. Turn LEFT onto Treble Cove road and go back over the highway. 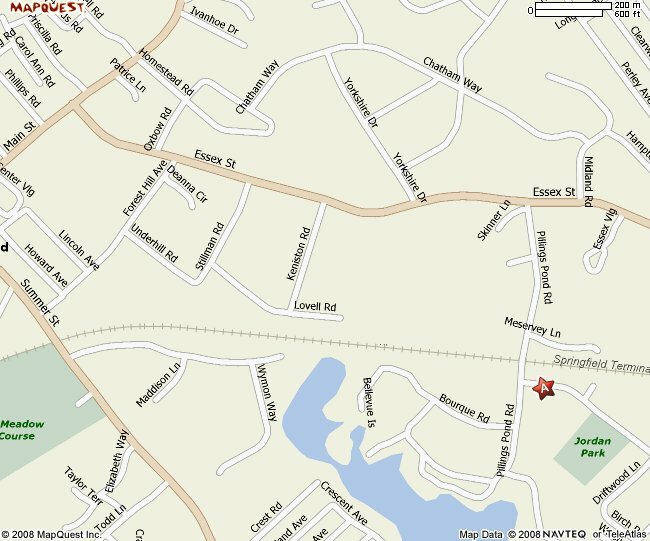 Take your third RIGHT (about 1/2 mile) onto Biagiotti Way. The school is just up this road. Park in the back but the field is far to the left down the path through the woods. (approx travel time = 45 Min). Take Everett Turnpike/Route 3 South into Mass. Take Exit 30B for Route 495 South towards Marborough. 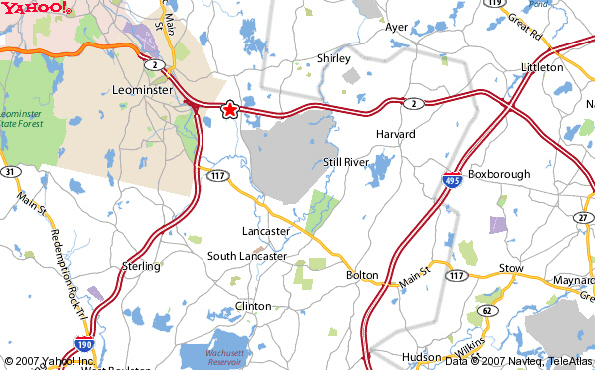 Travel 30 miles on 495 South and get off Exit 23B for Route 9 West towards Worcester. 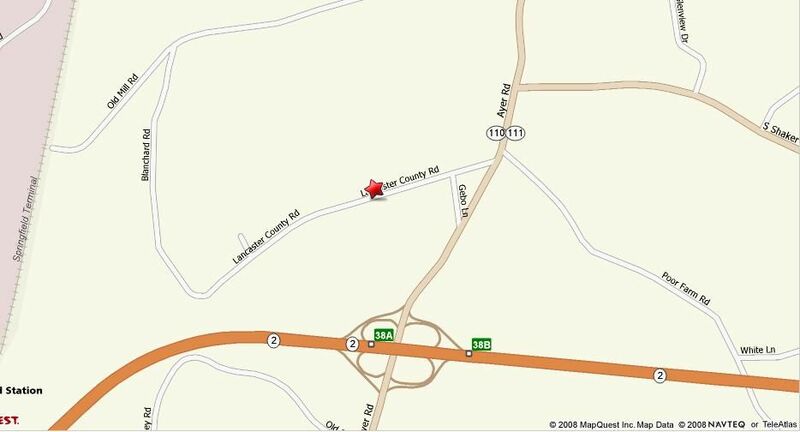 Travel 3.5 miles and turn right on Route 135 North/Milk Street. Field is about a mile up this road which becomes South Street. Estimated Travel Time = 1 hour and 5 minutes. Take Route 3 South or Route 93 South to Route 495 South. Take Exit 27 from Route 495. 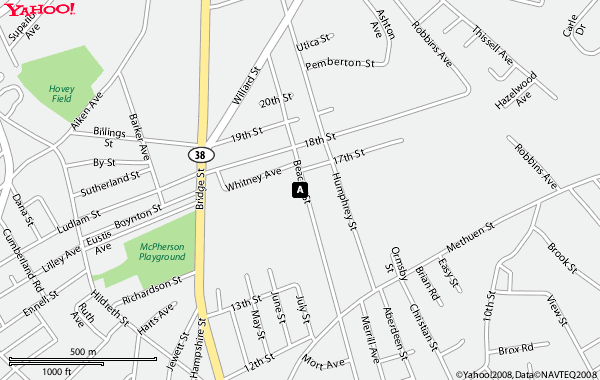 Proceed west toward Bolton Center and Lancasterfor about 2.6 miles on Route 117/Main Street. Observe Nashoba High Schoolwill be on your right and Classic Pizza will be on your left. Turn leftonto Forbush Mill Road. Drive about half a mile down Forbush Mill Road andthe field will be on your left. Take Route 93 South to Route 495 South. Take Exit 39 for Route 133. Take a RIGHT off the exit onto Andover Street/Rt 133 towards N. Tewksbury. Travel about 1/2 mile and turn LEFT onto North Street. Go about 1.8 miles to you cross railroad tracks. Field is just beyond the tracks on the LEFT. Take Route 101 East towards the Beach. Get on Route 95 South at Exit 13. Travel about 16 miles and Get off Exit 55 for Central Street towards Byfield. Turn LEFT on Central Street at end of ramp. Travel for about 1.2 miles and bear LEFT onto School Street. 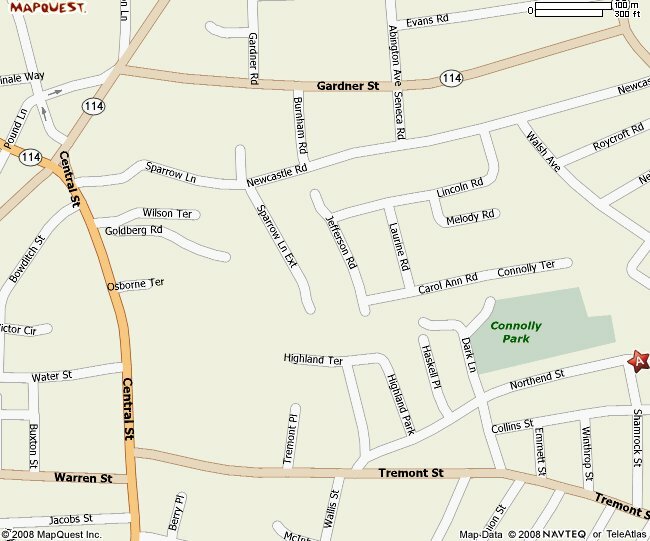 Travel about 1/2 mile to the end of School Street and turn LEFT on Elm St. Go about a mile and turn LEFT onto Middle Street before you get to Route 1. Take your first RIGHT back onto Elm Street and follow to the end and the Field. Approximate Travel Time = 1 hr. 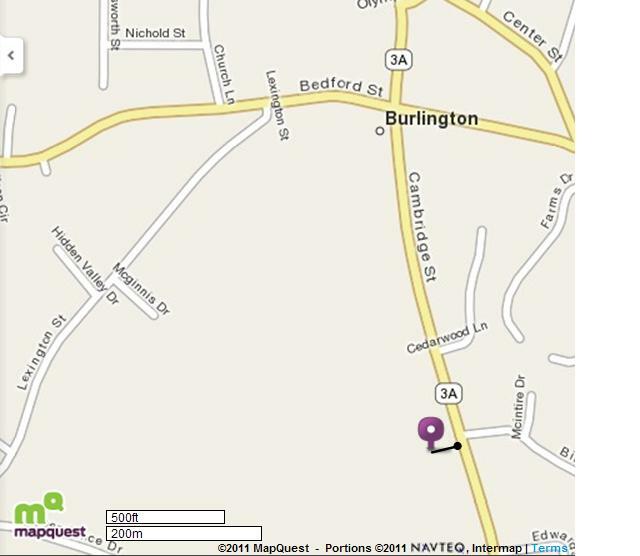 Follow route 101 WEST through Bedford and into Milford. Get of at the Route 13 exit. Take a left on Route 13. Go 1/10th mile to a stop light and take a left on Emerson road. Field is 1/2 mile on the right. Take Route 3 or Route 93 South to Route 495 SOUTH. Get off on EXIT 29A for Route 2 EAST towards Boston. 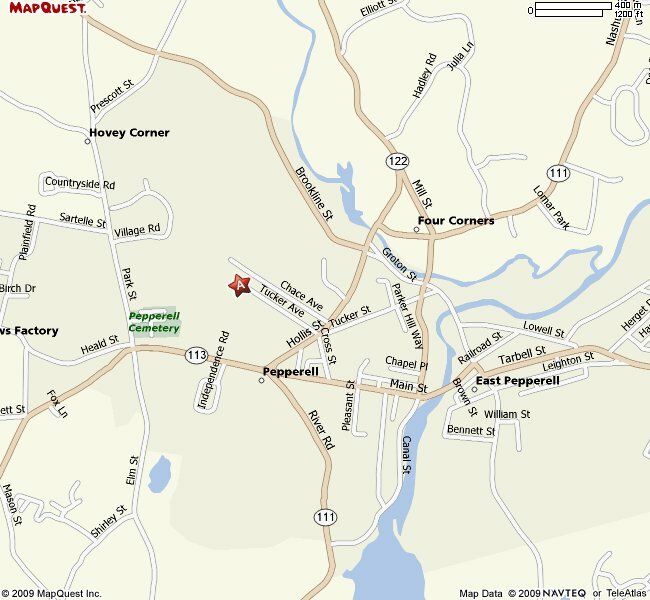 Get off on EXIT 42 for Route 27 towards Maynard. 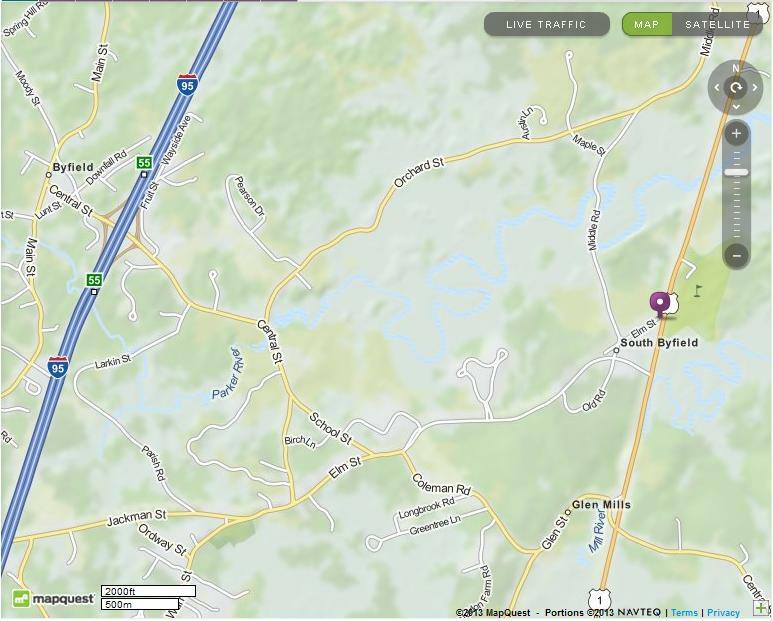 Follow Route 27 for 6 miles and turn RIGHT on to Fairbanks Road. Field is just up this road on the RIGHT. Estimated Travel Time = 1 hour. 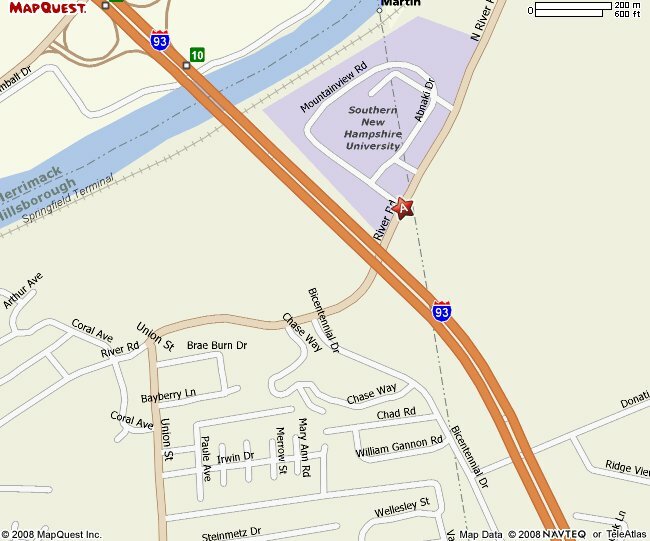 Take Route 93 South to Exit 39 for Concord Street. Take a Right onto Concord street off the ramp. Follow Concord Street to the end about 1.5 miles and turn RIGHT on to Park Street. In 1.2 Miles Turn RIGHT onto Route 62 still on Park Street. Travel 1/2 mile and turn RIGHT onto Central Street. Ipwich River Park is on your LEFT 1/4 mile down this road. Estimated Travel Time = 45 Min. From North: Take RT 93 South to the Toll Booth in Hooksett($1.00 toll) After the toll the highway splits. Stay left and take Route 293 South into Manchester. Follow 293 South into Bedford. You will see Macy's on your right. Take this exit on to Route 101 West. Follow Route 101 West until you reach a set of lights. Take a Left at the lights, this will keep you on Rt 101 West toward Bedford Center. 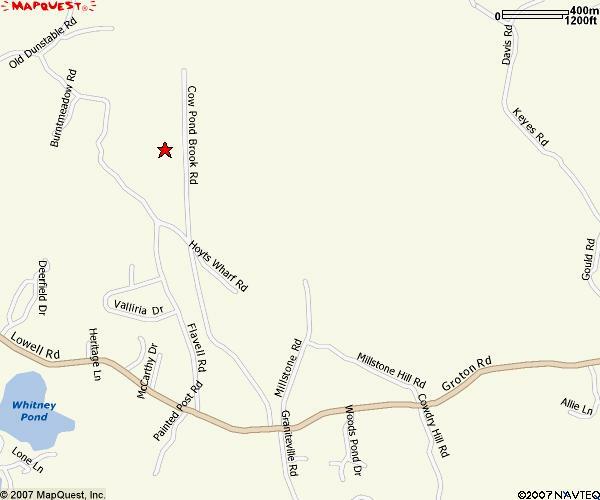 Go approximately 5 miles and turn right onto Joppa Hill Road. Go through the stop sign at North Amherst Road and the field will be on the left. From South using Rt 93: Take Route 93 North towards Manchester. As you come into Manchester, the highway splits. At the split stay left and take Route 101 West toward Bedford. Follow Route 101 West until you reach a set of lights. Take a Left at the lights, this will keep you on Rt 101 West. Go approximately 5 miles and turn right onto Joppa Hill Road. Go through the stop sign at North Amherst Road and the field will be on the left. From South using Rt 3 or Everett Turnpike: Take Route 3 into NH. Route 3 becomes the Everett Turnpike in Nashua. Stay on Everett Turnpike until the toll plaza in Bedford, NH ($1.00 toll). Directly after the Toll booth take the second Ramp exit to get on to Route 101 West(no exit number). 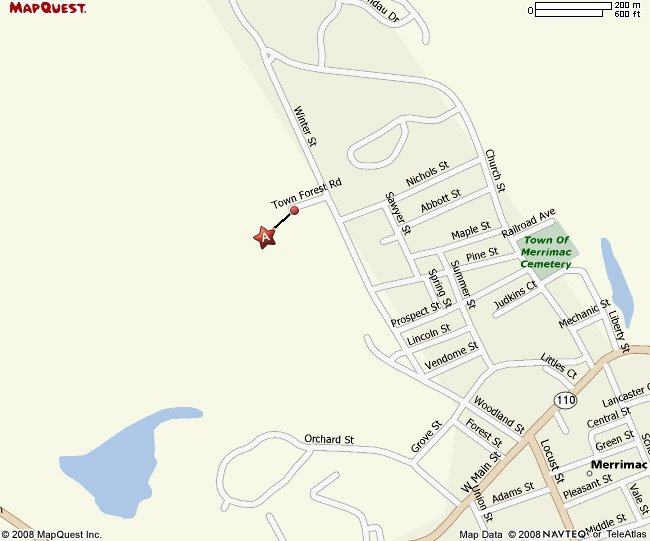 Follow Route 101 West into Bedford until you reach a set of lights. Take a Left at the lights, this will keep you on Rt 101 West. Go approximately 5 miles and turn right onto Joppa Hill Road. Go through the stop sign at North Amherst Road and the field will be on the left. Take Route 3 or 93 south to Route 95 South. 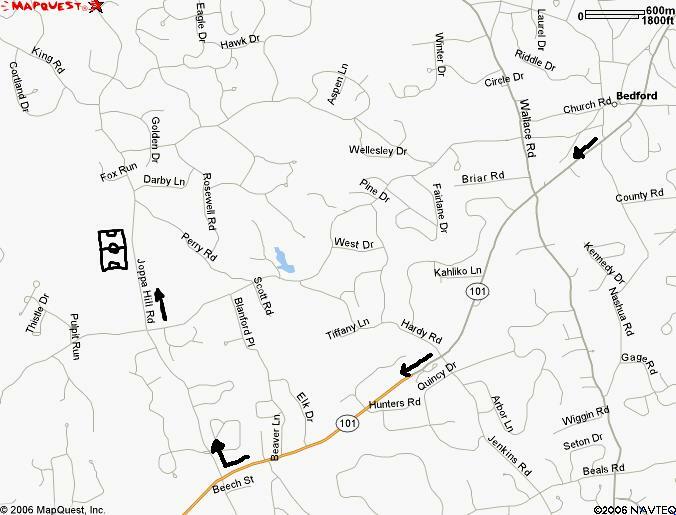 Take Exit 30A for Marrett Road/ Route 2A East. Head East on Route 2A for approximately 1/2 mile. Take a LEFT onto Lincoln Street (turn just before the Shell Station). 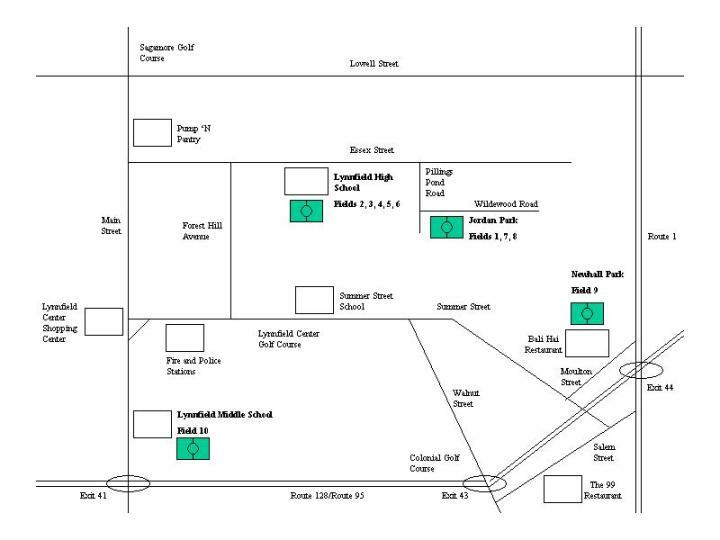 The Lincoln Fields are on your RIGHT in about 1/2 mile. Estimated Travel Time = 50 minutes. Turf fields. School on right. Field is behind school on left side. 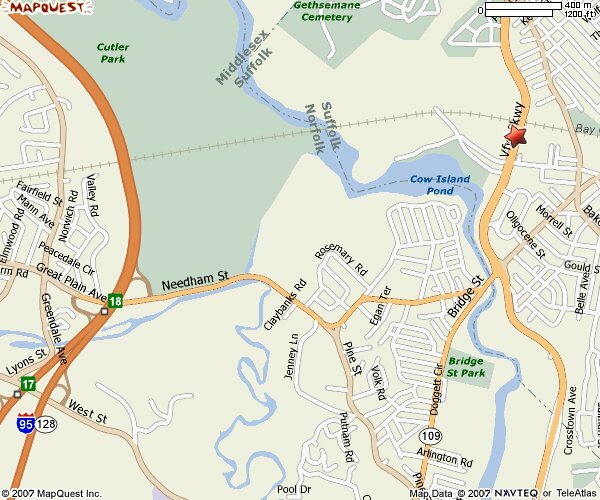 Take Route 93 South to Exit #40 for Route 62 EAST/Salem Street towards North Reading. Salem Street becomes Lowell Road/Route 62. Follow to the end. At the lights turn RIGHT on Main Street/Rt 28/Rt 62. Get into left lane immediately and take a LEFT at the lights onto Winter street/Route 62. Take your second RIGHT onto Chestnut Street. Field is 500 yards up on the RIGHT. Approx. Travel Time = 45 min. Take Route 93 South to Route 128/95 North. Stay on Route 128 at the split towards Glocester. Take exit 20A onto RT-1A N toward HAMILTON. Continue to follow Route 1A(Dodge St). 1A becomes MAIN ST in Wenham. Park address is 210 Main street. Take Route 3 North into NH. Route 3 becomes Everett Turnpike in Nashua. Stay on Everett Turnpike into Bedford. Everett Turnpike joins with Route 293 North. Stay on Route 293 North to Exit #6 Amoskeg Bridge Exit.. Follow directions below from there. Take Route 93 north into NH. As Route 93 comes into Manchester it splits. At the split go to the Left on Route 293 North / Route 101 West towards Bedford. As you cross over the Merrimack River get in the Right lane and take Route 293 North towards Manchester. Get off at Exit 6 Amoskeg Bridge Exit. Follow directions below from there. Turn Right and go over the bridge. Stay in the left lane over the bridge and go to the light on Elm Street. Turn Left on Elm street. Go to the first set of lights and turn Left on Webster Street. Go to the end and turn Right at the light on to River Road. River Road becomes North River Road. Follow North River Road until you enter the SNHU campus. Turn left at the main entrance and the field will be on your right across from the Athletic Complex. Take Route 93 South to exit 32 Route 60 towards Medford Square/Malden. 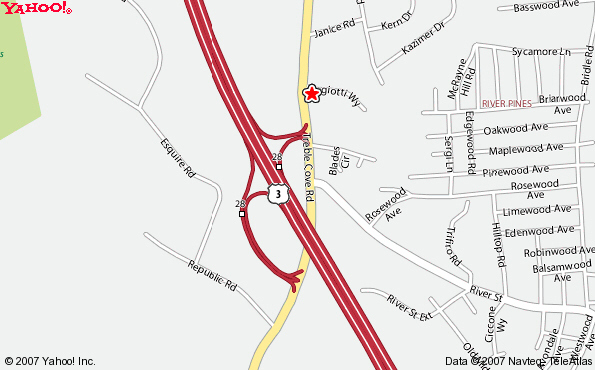 Take first exit in the Roundabout onto Salem St/Route 60. Travel 1/4 mile and turn right onto High St/Route 60. At next roundabout take 3rd exit to stay on High Street/Route 60. Stay on Route 60 through next roundabout. Stay on Route 60 and Travel about 1 mile and turn left on Wellington Street. Field is on the left. Travel Time approx = 1 HOUR. Notes: Very small grass field with trees overhanging. Poor condition. 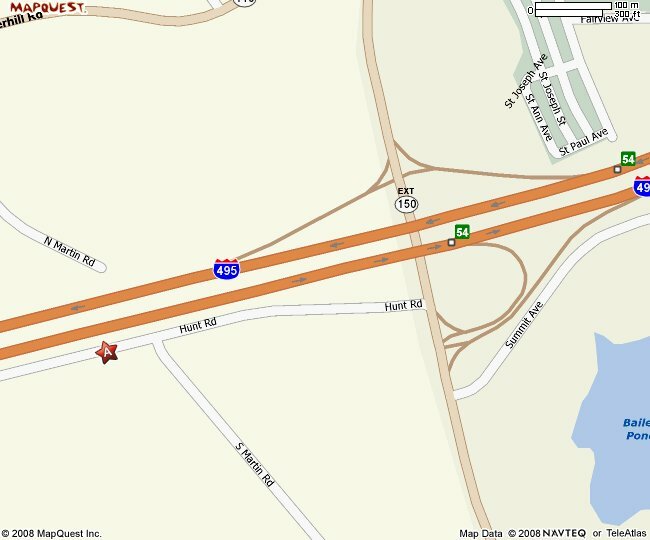 Take Route 93 South to Exit 44A for Route 495 North. Get off at exit 41A for Route 28 South towards Andover. In about 1/2 miles turn LEFT onto Route 133/Haverhill Street. 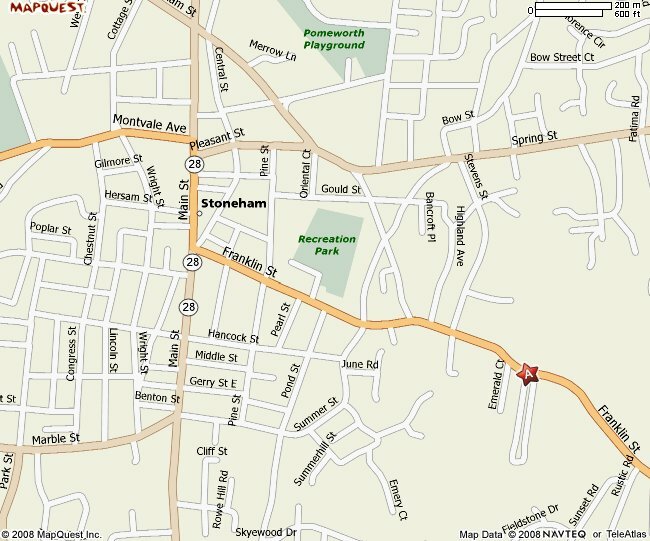 Take your first RIGHT onto York St. Lower Shawsheen Field is 200 yards ahead on the right. Pass this field and York Street becomes Burnham Street. Upper Shawsheen Field is on the Right in another 1/4 mile. Approximate Travel Time = 40 Mins. Take Route 3 or Route 93 South to Route 95 South(MA Route 128 S). 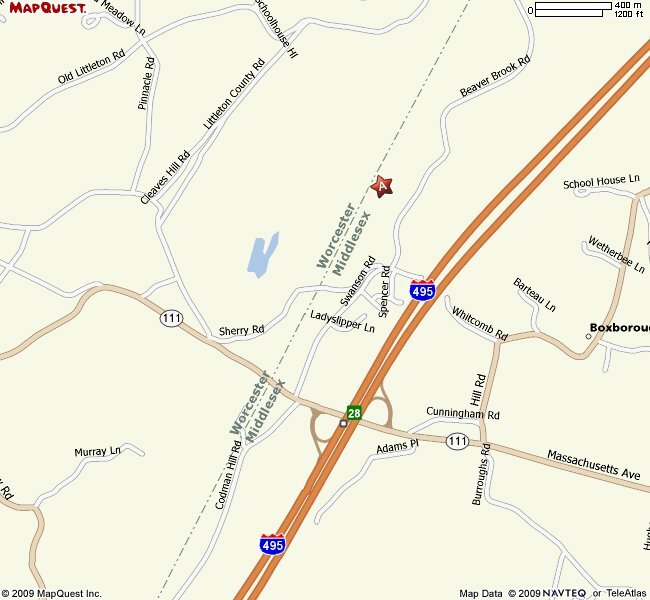 Take Exit #26 onto Route 20 West towards Weston. Go about 1.3 miles and turn left on to WELLESLEY Street. School is about 2.3 miles down this road opposite Brown St. Drive all the way in the entrance road until you see the school. Park in the main lot. Walk east up service road, thru wooden gate, turn left. We play on field 1. NOTE: If you park on the service road, even on weekends, you might get a parking ticket! Take Route 93 South into Mass. 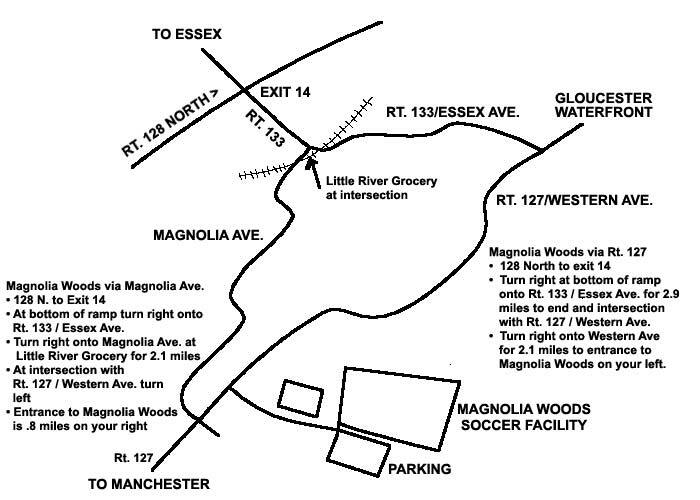 Get off at EXIT 45 for River Road. Turn LEFT onto River Road. Go about 1 1/2 miles and turn LEFT onto Cross Street. School is 1 mile down this road on the left, located at 11 Cross Street. Estimated Travel Time = 45 Minutes.